Here’s a live video I just made that shows off some of the new features of Aurora HDR 2019. If you pre-order prior to October 4th you save $$ and get tons of freebies! Existing users can check this link to see if you qualify for an upgrade for just $49. 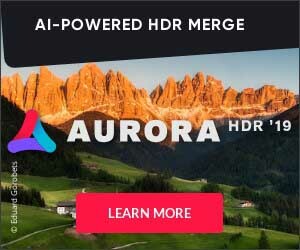 New users may purchase Aurora HDR 2019 for just $89. For next year I’m looking to buy a truck that can haul a 15,000 lb fifth wheel. If anyone has any contacts, please let me know. I feel quite dumb because when Rene and I bought this monster, I didn’t realize you also should really own a truck to haul it. But, hey, now I know… All this simply reminds me that one’s freedom is indirectly proportional to one’s possessions. This isn’t part of the regular Sunday Passport special days… so these are just some quick hits that may be helpful for you. One tip is how to fix that sloooow previews in Lightroom for Presets. Tip 2 is about “Trello” which is one of our favorite apps. Tip 3 is all about MOO cards. Tip 4 is about the new Screenflow Pro! On my first day in Moscow I was treated with some amazing clouds. This has been a city I’ve always wanted to visit, but it turns out to be a pretty difficult place to visit. It’s not really a hot-spot for tourists, but there are so many interesting photo spots all over the place. The Kremlin here is perhaps the most iconic spot in Russia with all of these unusual onion-shaped domes. I wanted to end up back here to take some night photos, but Moscow is such a crazy place that I ended up becoming distracted by all sorts of strange parties.